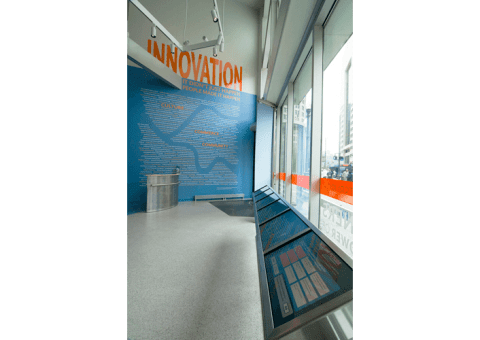 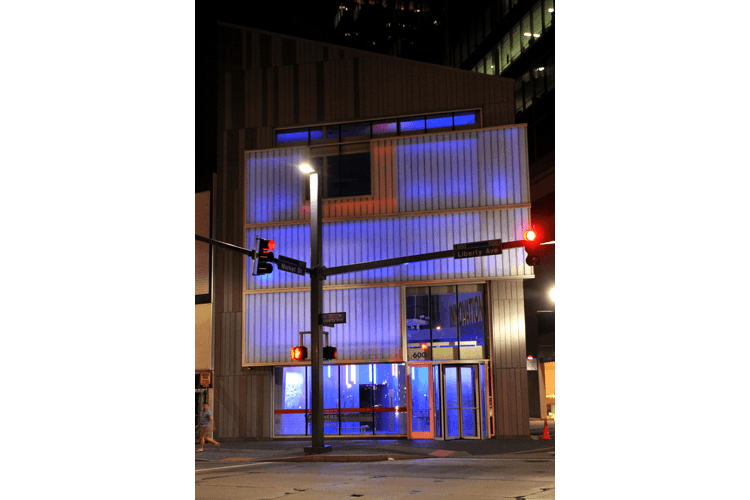 Quatrefoil designed and built this permanent installation in the heart of downtown Pittsburgh. 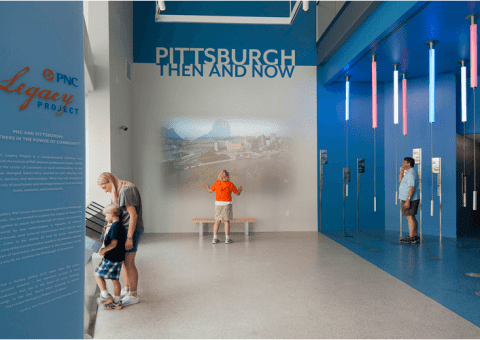 We created a unique multimedia experience focused on the Pittsburgh region’s transformation from a steel-based economy into a thriving information hub. 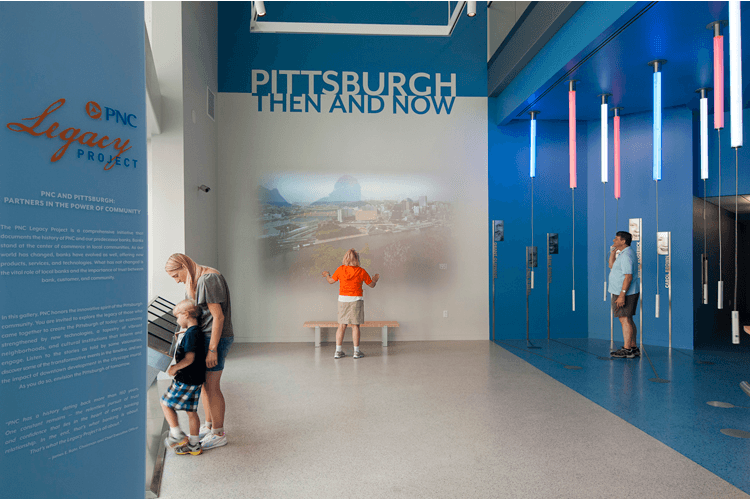 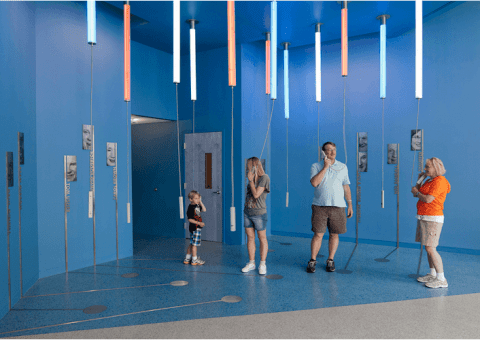 The exhibition features dynamic digital graphics, an interactive projection that allows visitors to “enter” an image from the city\’s past, and an innovative use of traditional museum listening devices to create oral history listening space. 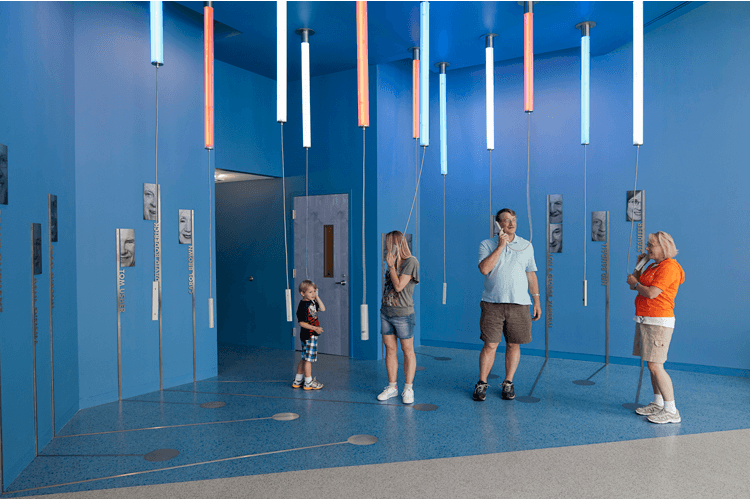 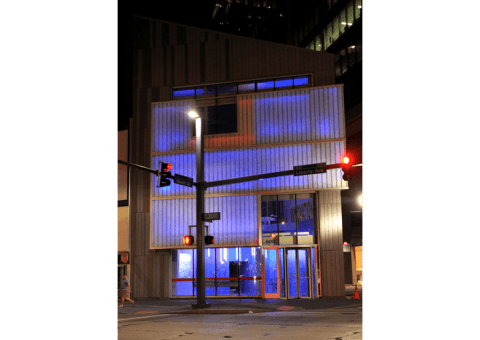 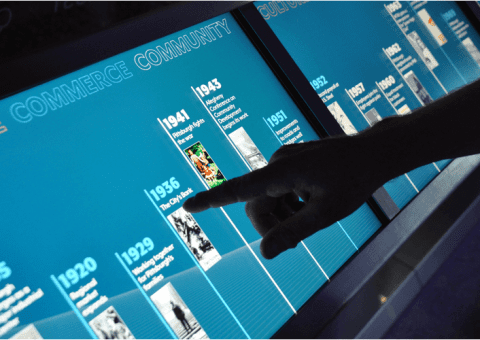 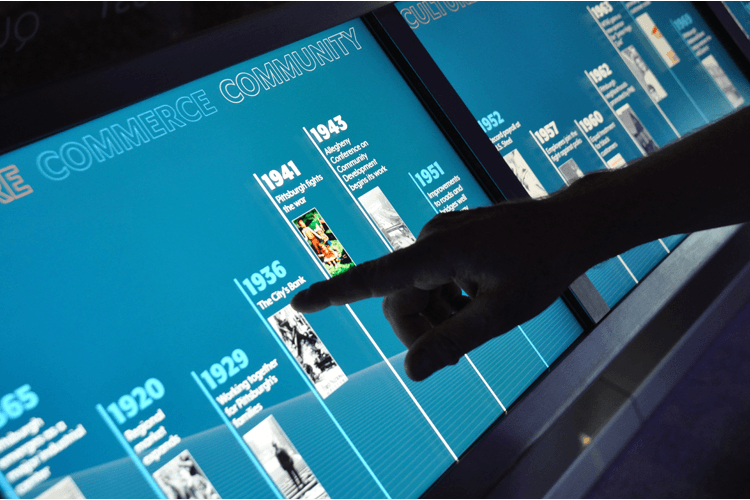 The exhibit was designed to incorporate changing exhibitions and can transform into a multipurpose space for special events.